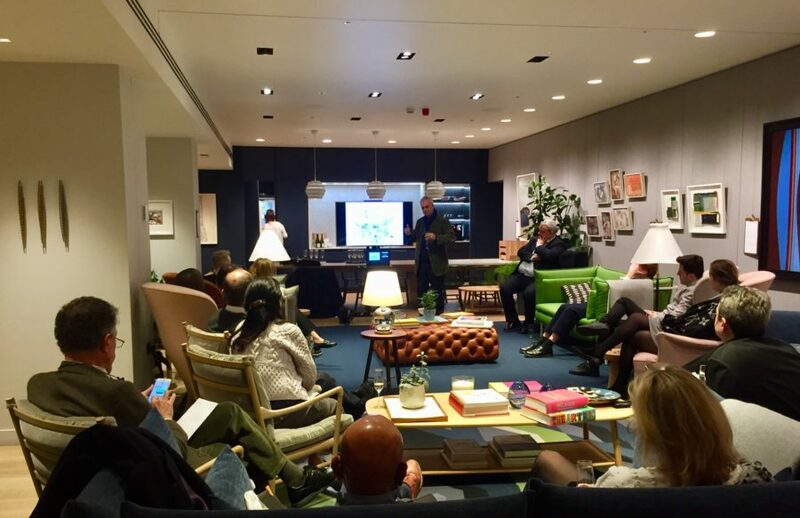 The residents of Television Centre were the audience for an enlightening talk on the redevelopment of Television Centre by Paul Monaghan, lead architect of the project. Taking place in the residents lounge, Monaghan gave a history of the area stemming from the 1908 Olympics, to the building of the original Television Centre, through to the redevelopment following the BBC moving out and the present day. Monaghan was able to provide insight and knowledge that comes from overseeing every aspect of the redevelopment, from the iconic view of the forecourt down to the selection process of the bathroom tiles. Of particular interest was how Monaghan and AHHM had tried to capture the history of the building in the renovation, preserving iconic features such as the Helios and the John Piper mural, while modernising the parts of the site that needed updating. The talk ended with a question and answer session, with residents able to ask questions about their own apartments and the story behind them.